Here you will find an overview of hard turning articles published by Hembrug. If you want to read an article completely you can download it. Finish hard turning techniques are enjoying ever greater popularity in the metal-processing industry. It shortens processing time and increases flexibility. The hard turning process has advantages over cyclindrical grinding in particular for workpieces with complex contours. Some workpiece examples are ball screw nuts or threaded spindles. Want to [...] Read more.. 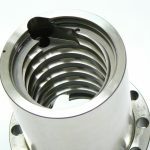 Finish hard turning technology is world wide used to process hardened steel grades (to 68 HRC) in the submicron range. 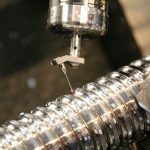 It drastically reduces the cycle times for complex workpieces when compared to cylindrical grinding, while maintaining accuracy. 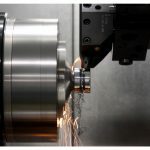 This article takes a look at the differences between hard turning and grinding technology. Want to [...] Read more..
Higher productivity, shorter cycle times and smaller production runs are playing an increasing role in the industry. Production plants are required to absorb the development capacity of their suppliers. A German machining company has been using hard turning machines for the machining of ball screw nuts for years. Want to read the whole article? Click on [...] Read more..
A white layer is a thin phase transformed layer which can appear at the surface of a machined workpiece. 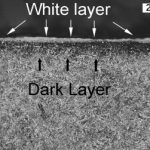 This literature study investigates how white layer is created and and in how far it can influence the life of a specific workpiece. Read more? Just click on download and follow the instructions.